Here we go with 10 amazing resume writing tips from the UpResume resume writing experts. It’s a very competitive job market out there. You need every advantage you can possibly get. With our top 10 resume writing tips from experts you will be able to get off to a flying start with your resume writing and job applications. Using the Hotmail address you registered for in 1996 is really not ideal. Create a professional sounding email address using Gmail and make sure it sounds professional. Recruiters spend as little as 4 seconds reading over your resume. It’s important to keep it short and simple. To the point. Don’t make it into an epic book that no one wants to read. Your full address is not required on your resume. If anything you can include your city and state but that’s it. Don’t ever include your full address. When saving your resume down as a PDF make sure you name it correctly. For example Firstname_Lastname_Resume.pdf That’s it. Don’t name it after the job you’re applying for. And don’t call it version 1. Simple and to the point, first name, last name and resume. Always export your resume as a PDF. Never send your resume as a Word doc. Some people may not have Word and it can also make your resume look different on different people’s machines. Always a PDF! People like to make a connection with you. It’s okay to include some personal interests on your resume. They don’t have to relate to the job. But make sure they aren’t too detailed and off putting. Just put your best stuff on there. For example you may like to travel, or like horse riding. Or maybe working out. When listing your skills on your resume it’s important not to put number ratings next to each skill. Or a skill bar. People have different levels and ideas on what a 9/10 for touch typing is. People may have unreasonably high expectations and putting a number rating on your skill set can make things difficult to prove. People read over your resume very quickly, make sure you use large, legible fonts. Don’t make it so small you can’t read it. I know you’re trying to cram a lot it. But don’t make your fonts too small. Two colours maximum should be the limit on your resume. And these can include 2 different versions of grey, and maybe a splash of colour. 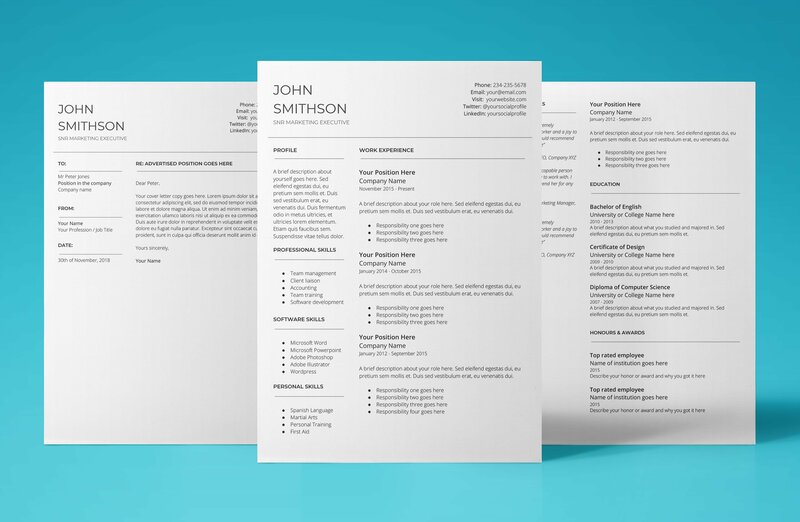 Remember most people print resumes out on a black and white printer and don’t see the colour anyway. One mistake we see all the time is people writing boring cover letters. You have to remember employers will be reading dozens of cover letters. Try to be unique and original when writing your cover letter. Don’t be robotic and conventional. So there you have it! 10 top resume writing tips to make sure you create the best resume you can. Follow these steps and we’re sure you’ll be able to create a winning resume in not time. Now that you’ve got the resume writing tips, why not download one of our amazing resume templates, they’ve been design with proven techniques to get you noticed.